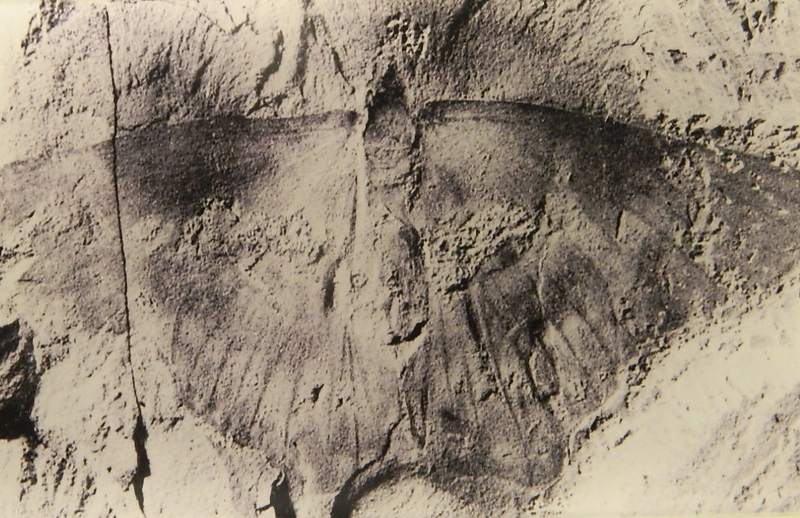 It was a discovery to see a 50 million year old butterfly fossil at the National Natural History Museum in Washington, D.C., earlier this month. With the fossil, it is now possible to prove that winged pollinators have been here throughout history. It is a calamity that the Monarch Butterfly only has a five percent survival rate in 2013. I had the honor of hearing Rick Beaver speak about butterflies. He reiterated that it is the children that need to learn and honor nature. I feel certain that Alderville First Nation children, Ontario, Canada, are learning about butterflies and other pollinators. How could present day mankind be part of destroying a world that once was pristine? Nature was a gift to mankind. We need to live within and be connected to nature. When we make ourselves a separate species far removed from nature, an indicator species such as Monarch Butterfly becomes an endangered biological migration. The Monarch is telling us that something is wrong in the environment; we most avert a colossal loss of species in our lifetime. Support sustainability at your home, apartment, townhouse, duplex, housing development, and backyards. This is a step that each of us can take to preserve a beautiful planet filled with butterfles. Let’s pass Creation onto the next generation. Wing markings called eyespots are present in some species; these may have an automimicry role for some species. In others, the function may be intraspecies communication, such as mate attraction. In several cases, however, the function of butterfly eyespots is not clear, and may be an evolutionary anomaly related to the relative elasticity of the genes that encode the spots.